With over 30 years of design and manufacturing experience in a broad range of both AC and DC OEM power distribution products for the residential, commercial, and utility-scale solar PV marketplaces, Bentek is introducing several new balance of system PV products that meet NEC 2017. Bentek introduces new 1000VDC and 1500VDC Commercial and Utility-Scale solutions. The solutions consist of three Bentek products that meet NEC 2017 safety requirements. Bentek introduces the 3rd generation Bentek 1500VDC Utility-Scale (UTS 3) string combiner with an optional switched negative disconnect. Bentek continues to experience great market acceptance with its predecessor, the 1500VDC UTS 2 with over 1.5GW shipped. Bentek will leverage this success into the new Bentek 1500VDC UTS 3 combiner by incorporating its custom Bentek disconnect. The Bentek 1500VDC disconnects when integrated into the new 1500VDC UTS 3 Bentek combiners, continue to drive down costs while providing the PV market with the standard ampacities of 200A, 250A/275A, 320A, and 400A. However, Bentek has expanded these ampacities to include new 225A, 300A, 325A, 350A, and 375A. This more granular set of ampacities provides design engineers with the specific ampacity to meet project needs while minimizing component costs. This will result in savings of up to 20 percent over standard market ampacities. 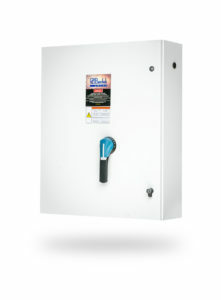 The Bentek AFCI (AF2) integrated disconnect detects and suppresses string-level arc faults in compliance with NEC 2011 & 2014 sub-section 690.11, while allowing designers to retain central inverter system array architecture. With over 500MW shipped, Bentek AF2 combiners have found great success in both the commercial rooftop market and ground mount installations. 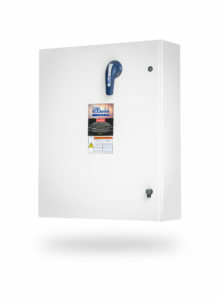 The AF2 uses a reliable UL98B listed trippable load-break disconnect in place of a traditional contactor. This trippable disconnect functions as a manual isolation switch and trips automatically when an Arc fault is detected. For more information about the capabilities of the Bentek and products, please contact Bentek at 1-866-505-0303 or visit www.Bentek.com. Founded in 1985, Bentek is a leader in engineered electromechanical and power distribution solutions for industrial applications. Bentek designs and manufactures products such as power distribution equipment, wiring harnesses, and custom OEM assemblies for the solar energy and semiconductor markets. Bentek is an ISO 9001 certified company. For more information, contact Bentek Solar at 866-505-0303, e-mail SolarSales@bentek.com, or visit www.Bentek.com.